Debbie and Michael Campbell call themselves the Senior Nomads and are reveling in a life of overseas travel. 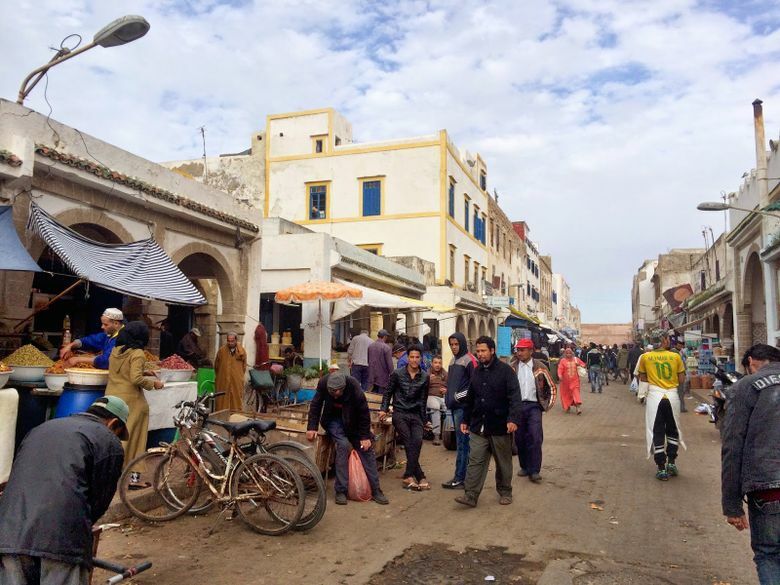 What does it take to be a Senior Nomad? Casting off your stuff and having a flexible definition of home at a stage in life when others are settling down in a recliner with the remote. Seattleites Debbie Campbell and her husband, Michael, have embraced what they call the Senior Nomads way of life in their everyday lives and on their blog (seniornomads.blogspot.com). So far, they’ve been traveling for 636 days, and have stayed in 52 Airbnb rentals and visited 31 countries. That decision was made over two years ago at the couple’s Seattle town house. Their daughter Mary Campbell, visiting from her home in Paris, thought they should travel. A friend of her husband’s, she told them, had lived all over, including South America, where he rented apartments and worked remotely. “My thought was, ‘Had she looked in our bank account and seen more money than I thought we had?’ ” said Michael Campbell, 69, a former sports-marketing executive. But rather than staying in hotels, Mary Campbell suggested that her parents use Airbnb, the online vacation-home rental site that has inspired devotion from many tourists and criticism from affordable housing advocates, the hotel industry and some city officials. 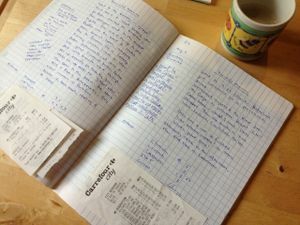 His daughter’s suggestion planted the idea that he and his wife could wrap up their careers, downsize and reduce their living expenses, he added. If they could afford to live in Seattle without working, could they also afford to live abroad, renting other people’s homes? After three months of Excel number crunching, they concluded that they could. So the sailboat on which the couple had spent so many weekends — sold. Debbie Campbell’s little Volkswagen convertible — someone else’s dream ride now. Their town house — occupied by renters. Everything else was stashed in a 12- by 15-foot storage unit. The Campbells have spent nearly two years overseas, living for a week or more in one rental home before moving on to another. They’ve stayed in a grand formal apartment in Florence, a graphic designer’s funky place in Paris and a farmhouse in Wexford, Ireland. Their home in Luxembourg had beautiful exposed beams and a loft; their apartment in Tallinn, Estonia, had a sauna. 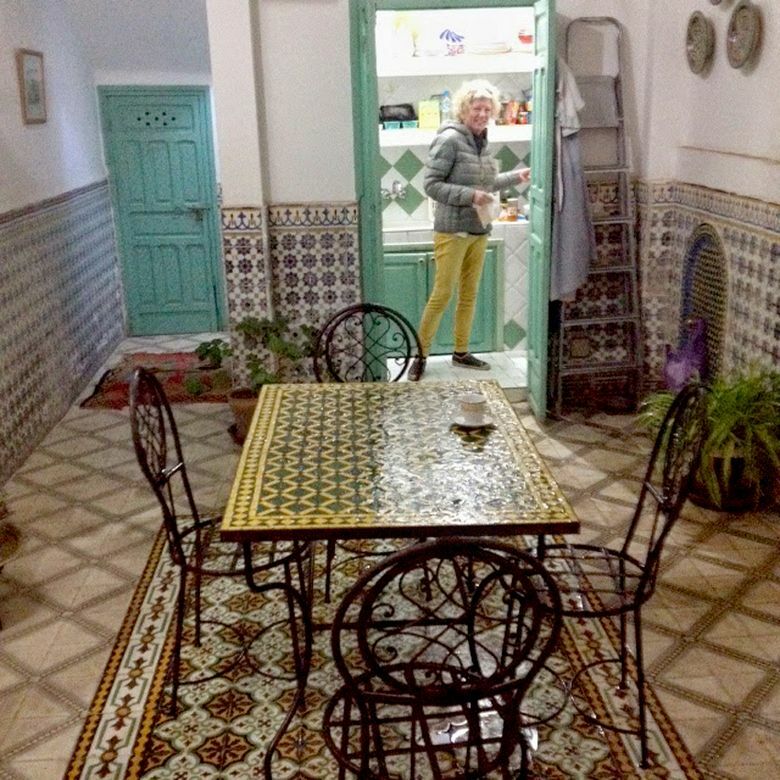 The dining room in the Campbells’ Airbnb rental in Marrakech, Morocco, with Debbie Campbell standing beyond in the closet-size kitchen. One of their recent homes on the road was a spacious riad (a traditional Moroccan house) in Marrakech. In Morocco, the Campbells were struck by the local architectural style, the way their riad was furnished with long couches and low tables for people to sit and drink tea and designed around a courtyard with an opening to the sky instead of windows to let in light. “Debbie and I just had dinner, and we were sitting at what looks like a dining-room table, but if it rains, it’ll come right down on the table,” Michael Campbell said. The couple’s friends have expressed skepticism about staying in strangers’ homes glimpsed only online. What if they arrive in Berlin to a pigsty? Of the 52 Airbnb rentals so far, there have been duds. But those have been rare, and the couple have developed a careful selection process. They use filters on the Airbnb site to find a handful of well-reviewed rentals in their destination city, looking for places around $90 a night (more in some cities, less in others), with Wi-Fi, an adequately stocked kitchen, a location in the town center and, ideally, outdoor space. They email the hosts and begin culling the list based on availability, past experience and gut reactions. The universal-design language, at least with Airbnb rentals, is Ikea. Last July, the Campbells returned to Seattle to visit friends and attend a son’s wedding. But it wasn’t a homecoming, exactly. They stayed in an Airbnb apartment in a different neighborhood and renewed the agreement with their tenants for another year. “We drove by our house, and I didn’t say, ‘I really wish we lived there,’ ” Debbie Campbell said. And when they flew back to Europe this time, she added, the Senior Nomads did something different. “We bought one-way tickets,” she said, laughing. Kristin Jackson of The Seattle Times contributed to this report.